The government of Ghana says it has begun action to dissolve the Ghana Football Association after an undercover investigation exposed alleged corruption amongst referees and implicated the federation's president Kwesi Nyantakyi. A statement from the Ministry of Information said that the government is "shocked and outraged" by the contents of the investigations undertaken by the journalist Anas Aremeyaw Anas. 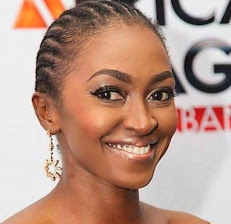 "The documentary exposes the gross malfunction of the Ghana Football Association, characterized by widespread fraud, corruption, and bribery," read the statement, which was signed by Information Minister Mustapha Abdul-Hamid. The Ministry say they have been forced to act "as a result of the pervasive nature of the rot within the GFA" and that they have "taken immediate steps to have the GFA dissolved." The statement added that the government will announce provisional measures to govern football until a new body is formed. Youth and Sports Minister Isaac Asiamah told KweséESPN that the dissolution means all football activity is on hold in the country. "This means all football activity is on hold," he began. "The league is suspended until further notice as well as all activities and all programs of the Ghana Football Association." Asiamah said the decision had been a difficult one to take, and is aware that it is likely to trigger some sort of action from world football's governing body FIFA who strictly forbid the interference of government in the national federations. Any FIFA ban could affect the U-17 women's team, who are preparing for the U-17 World Cup, Aduana Stars who are participating the CAF Confederation Cup, and the Black Stars, who are due to play in three African Cup of Nations qualifiers later this year. In the two-hour documentary - "When Greed and Corruption Become the Norm" - released on Wednesday, several Ghanaian referees and appointing officials are shown allegedly accepting cash gifts in exchange for fixing games in the Ghana Premier League, including one between Hearts of Oak and Asante Kotoko, and cup competitions at various levels of the game. GFA president Nyantakyi, who is also seen on video negotiating for a 25% cut of a sponsorship deal meant for the federation to be diverted to a company he owns. 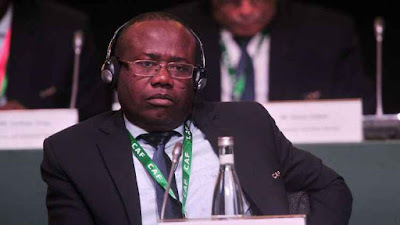 Nyantakyi, a CAF vice president and member of the FIFA Council, told undercover reporters pretending to be wealthy businessmen interested in sponsoring the Ghana Premier League that he could set up a separate company to act as the agent in the supposed deal and charge between 20-25% from the GFA. Kenyan referee Aden Marwa Range has withdrawn from participating in the World Cup after being implicated in the bribery scandal.